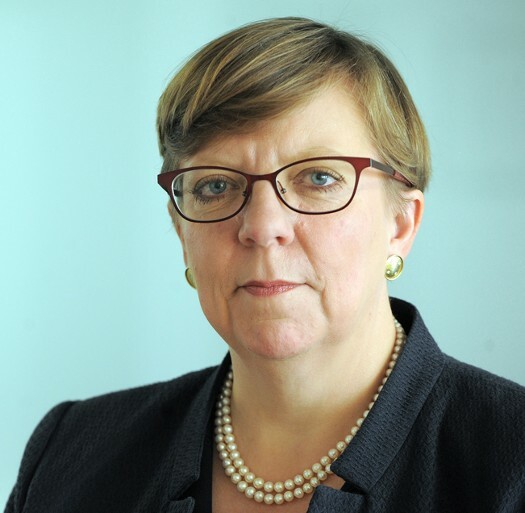 The Chief Correctional Commissar, Alison Saunders (above), AKA the Director of Public Prosecutions has written in the Guardian of her plans to crack down on “hate crime” perpetrated on the internet. The Guardian illustrates as an example of this the case of a certain Rhodri Colwyn Philipps who was convicted of sending menacing messages after he offered money on Facebook for anyone to run over anti-Brexit campaigner Gina Miller. Rhodri Colwyn Philipps, AKA, 4th (UK, let. pat. 17 Jun 1918) Viscount and 4th (UK, let. pat. 6 Jul 1908) Baron St Davids, 17th (Eng, writ sum. 29 Dec 1299) Baron Strange of Knokyn, 26th (Eng, writ sum. 7 Jan 1425/6) Baron Hungerford, 23rd (Eng, writ sum. 13 Jan 1444/5) Baron de Moleyns, has as police officers say “form”: His Lordship has been declared bankrupt three times, has a criminal conviction for financial mismanagement and two further convictions for menacing communications (in addition to his latest threatening Ms Miller). On 13th July 2017, he was sentenced to 12 weeks in prison. The offences of which His Lordship has been convicted are not “hate crimes” they are “crimes” plain and simple. There is no need to start introducing authoritarian statutes limiting freedom of expression to “crack down” as Commissar Saunders puts it, on such individuals as this hereditary peer. Now it is likely that Lord St. Davids did not wish Ms Miler to come to any physical harm. The sentence he received reflects this. This being the case, the sentence he received was clearly “over the top” for had Lord St. Davids had seriously intended harm to befall Ms Miller his sentence would (rightly) have been several years. He should not have received a custodial sentence at all. A modest fine would have been more than enough. But then Lord St. Davids has done Commissar Saunders a great service by allowing himself to be charged and convicted, for it gives Commissar Saunders the opportunity to incarcerate him. This is most important for Commissar Saunders. Because Commissar Saunders and the others governing this former bastion of free expression wish to be able to declare that they are being “even handed” and are not “discriminating”. You see, what we have in this country now is a large and growing Muslim population. Many in this population are expressing opinions that do not comply with officially approved opinion. In order to crack down on the more extreme elements in this community it is important for the authorities to demonstrate that the Muslim community is not being singled out. It is therefore necessary to crack down on individuals like a certain Mr Mike Overd. Mr Overd, a former soldier living in Taunton, Somerset has a hobby: street preaching. Mr Overd has come to the attention of the authorities and has landed himself in trouble of several occasions! You see, Mr Overd is keen to spread the Good News of Jesus Christ. To all and sundry, which for Mr Overd means passers by in the street or market square. The point that Mr Overd is trying to make is that Jesus Christ made the “perfect sacrifice for sin” by allowing himself to be tortured and nailed to a cross two millennia ago. Had Mr Overd been making these statements in 1967, he would not have been troubled by the local constables. However, fifty years later things have changed and in 2017 Mr Overd finds himself frequently having to assist the police with their enquiries! Benjamin Jones of the National Secular Society penned an excellent online article on Friday, 20th March 2015 in which he quotes the frighteningly authoritarian statements of our modern politicised police force. Mr Jones goes a little further than does the British Gazette on the issue of freedom of expression. The fact that with the help of fellow Christians, Mr Overd has managed so far to get his convictions overturned, matters little to such as Commissar Saunders. This is because as she well knows, the public once they hear the police have arrested Mr Overd turn their attention to other matters. Some of them will notice the reports of his conviction in the magistrates court but few will read the reports of his later acquittal on appeal. But for Commissar Saunders the point will have been made: they are being even handed by cracking down and “not tolerating” such as Mr Overd! This is because Commissar Saunders is fully aware that the threat to public safety and the continued stability of the country is from “radical Islamists” of the type recently responsible for the outrages in Spain and Finland. The sad and depressing FACT of the matter as this: As the UK’s Muslim population grows, so too will the number of “terrorist incidents”. This threat is not going to go away. It is going to increase. This will mean more authoritarian statues ending up on the statute book and a greater effort by the police to “crack down” on such as Mr Overd for the ONLY way to counter these terrorists is to gain the support of the Muslim community, the VAST majority of whom are peaceful and law abiding citizens. However, since it is necessary for the authorities to appear not to be singling out the Muslim community, they will continue to persecute such as Mr Overd and Lord St. David, if that is His Lordship is so stupid as to repeat his actions.